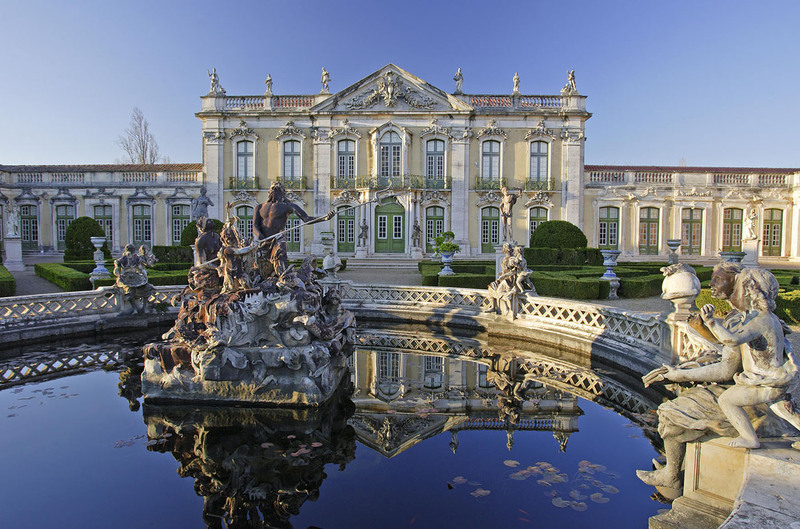 The Palace of Queluz and its gardens, represents one of the finest examples of late 18th-century Portuguese architecture. 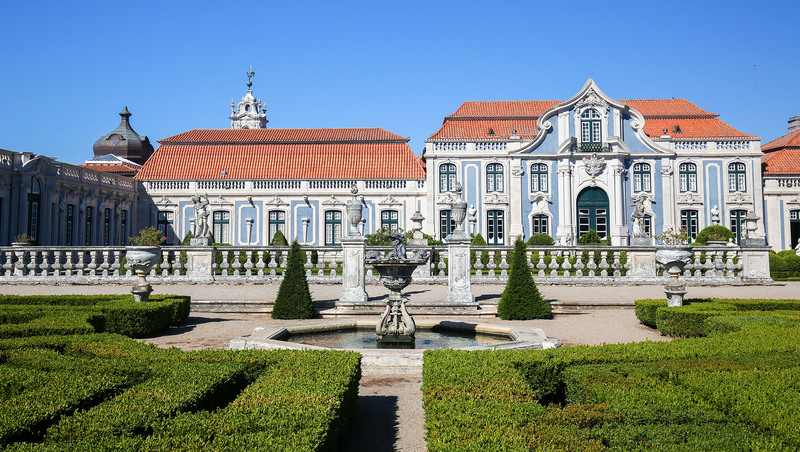 Built at the orders of Pedro III, the husband of D. Maria I (1734-1816), and used as a royal residence, this palace is one of the finest examples of Portuguese architecture in the late 18C. It has been further enriched by an important museum of decorative art, whose collections mostly belonged to the royal family and are exhibited in an appropriate setting. Many of the rooms are decorated in the rocaille style, such as the superb Throne Room, its walls lined with mirrors and magnificent carved gilded woodwork. The surrounding gardens are embellished with fountains and ornamental ponds, where sparkling water spouts forth from mythological figures. Particularly impressive is the group of sculptures around the Neptune Basin.